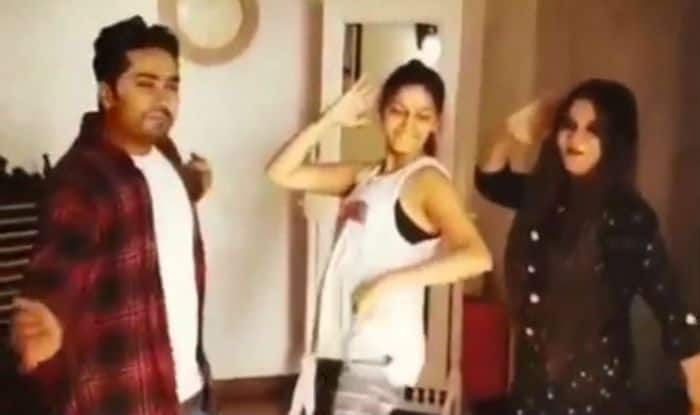 Haryana’s famous dancer and singer Sapna Choudhary, who got famous after coming in Bigg Boss 11, was recently seen dancing and hanging around with her friends. She leaves no chance of treating her fans with stunning pictures and adorable videos. The lady is quite famous not only Instagram but also, lip-syncing app names Tik Tok. One of her fan pages shared the video of Sapna with her friends dancing on Teri Aankhya Ka Yo Kajal. The ‘Anarkali of Haryana’ is famous for stage shows. These days she is making headlines for a recent dupatta dance where she covered her face and flaunted her thumkas. Sapna has been in the limelight just after her transformation. She has undergone a drastic fashionable change. The desi beauty has turned into a stunner and looks chic in her latest pictures. Sapna was the third most searched celebrity of 2018, according to Google. In Bollywood, she made her debut with an item song ‘Hatt Ja Tau’ from Veerey Ki Wedding. She has also featured in ‘Tere Thumke Sapna Choudhary’ from Abhay Deol starrer Nanu Ki Janu.